The backgrounds of our students range across the spectrum to include: education; profession; marital status and; a rainbow of ethnicities. What all of our students have in common, however, is the desire to improve the quality of their lives and the lives of loved ones through healing energy. A particularly interesting sub-group of students within the School are those from the martial arts community. Even with only a few short years of training, their energy is clearly tangible as bio photons; however, they feel at a visceral level there is “more”. Sifu Jones well knows their plight and can empathize. Having trained in very intense traditional Chinese martial arts, he has intimate knowledge and experiences of the ever increasing pain thresholds that come with the bio photonic development curated via traditional martial arts. Even in “circular” martial arts, like Tai Chi (Chinese) or Aikido (Japanese), where the physical movements of the body are circular, the chi itself is developed and projected in a linear fashion. This is exacerbated throughout the various Karate and Kung Fu iterations. power sure that fries your computer and television. Done repeatedly with increasing voltage, an electrical fire is an expected outcome. It’s one thing to fry a television. It’s something completely different when an electrical fire burns down your home. Likewise, the pain from a buildup of linear chi in the form of an “energy spike” is tolerable for the average martial artist. Repeatedly, this can lead to irrevocable damage, such as shutting down an organ. Like Sifu Jones, the martial artists that have come to the School were search for and knew, deep down: there has to be a better way. The methodology of the School of Chi Energy Training is built around circular chi energy. This is the foundational starting point. The chi itself is developed, cultivated and projected via circular patterns and circular geometric forms. This, in turn, lowers the intensity and avoids the destructive nature of linear chi, allowing the practitioner to develop their sensitivity to and control over chi energy while still being able to re-purpose a greater throughput of chi in the form of a linear strike should the need for self- defense ever arise. This is to say that by not training in a destructive methodology, the practitioner can develop higher levels of energy to use in a destructive fashion without hurting themselves when compared to those who only develop destructive chi. Although the act of forming circular chi takes time, it is not without intrinsic rewards. 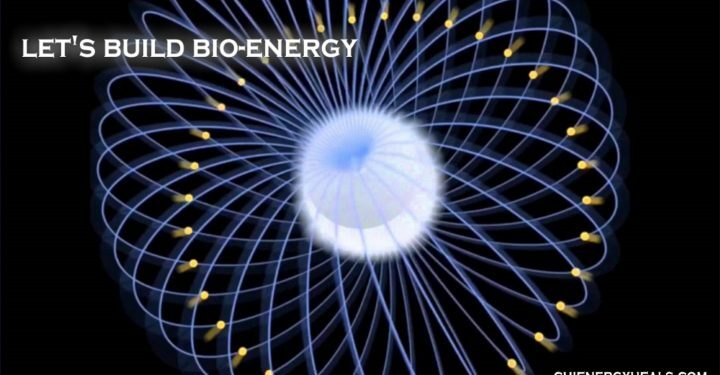 Built into the system is the development of the body’s ability to comfortably handle and adapt to a higher internal electromagnetic psi – as this is the natural result of increased bio photon output. This, in turn, translates to reduced inflammation and a litany of illnesses with inflammation noted as the root-cause are suddenly removed from the student’s life. This is just one of the many advantages to the circular method of chi development.